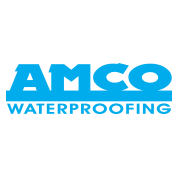 Hello, and welcome to the AMCO Waterproofing blog! If you have stumbled across this page, you are likely interested, or in need of, basement waterproofing services. We get it, seeping walls, unappealing water stains, disintegrating concrete, and the unmistakable odor of mold are no fun to deal with. Luckily, our basement waterproofing company in Winston-Salem can quickly seal up your basement to protect your basement from water-related damage in the future, allowing you to finally utilize that space with an added peace of mind. As you further your research about basement waterproofing in North Carolina, you will soon find out that there are various waterproofing solutions to select from. 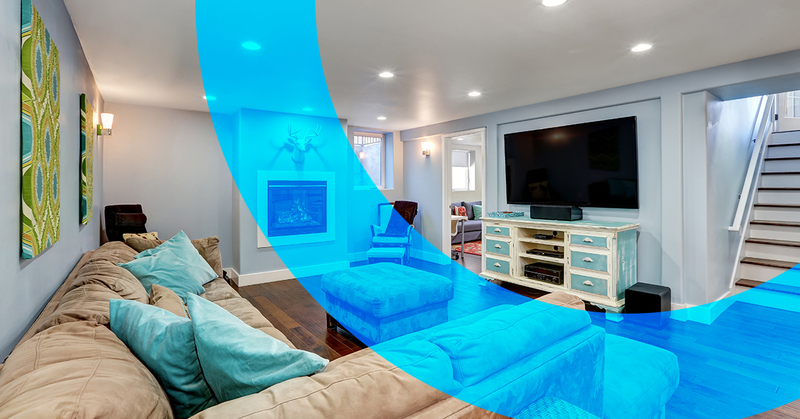 The ideal solution will ultimately depend on varying factors, including your budget and the current condition of your basement. Our basement waterproofing contractors can help you choose the waterproofing solution that is the best fit for your home. But to give you a head start, in this blog we are going to share some information about the two effective basement waterproofing solutions to choose from. Although interior sealants are not often used as a basement waterproofing, they can be used as a temporary solution for keeping your basement dry. This tool is designed to ensure that the atmospheric humidity level in the basement stays low. Using interior sealants helps prevent moisture from being absorbed by the basement walls and floors, and it can also help prevent moisture from spreading to other parts of the house. 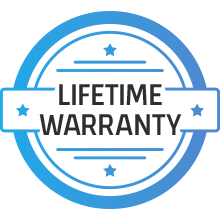 We use the WaterGuard® basement waterproofing system to effectively capture wall and floor seepage before it reaches your basement floor. 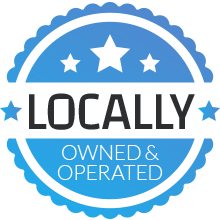 Our methods will keep your basement clean and dry so you can use the space for storage, recreational purposes, or to finish for additional living space. When combined with our basement sub pump system, your basement is completely protected. Installing an exterior waterproofing system is one option for waterproofing a basement. Waterproofing your basement from the outside walls helps to stop water before it enters your basement. 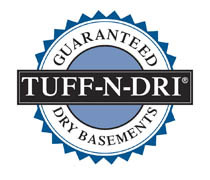 At AMCO, we use the Tuff N Dri Waterproofing System to protect your home against below-grade moisture and ensure a dry, comfortable environment. The exterior wall waterproofing and drainage system act as a waterproof barrier that prevents water from seeping through into the basement, thus producing a less humid basement. In order for a basement to stay dry throughout the year, there must a proper basement drainage system in place. If you don’t already have a sump pump system installed in your basement, contact our basement waterproofing company. The basement sump pump systems we use are designed to keep your basement dry, even when your main pump fails for whatever reason. Our basement pump systems are compatible just about all types of foundations including poured concrete, stone, block, and many more. By opting for professional basement waterproofing, you are protecting the health and safety of your home. When considering the benefits of a waterproof basement, such as improved structural strength, increased living space, and saving money, it’ is clear just how necessary waterproofing is. To find the right solutions for your basement, make sure to consult with our professional basement waterproofing company and have your basement thoroughly assessed. It also does not hurt to research basement waterproofing in order to make an informed decision, so don’t hesitate to check out the rest of our site! If you are interested in learning more about basement waterproofing and how our solutions can keep your basement free of moisture, check out our homeowners guide to basement waterproofing or contact AMCO Waterproofing today! ©2018 AMCO Waterproofing. Do not copy. All rights reserved.